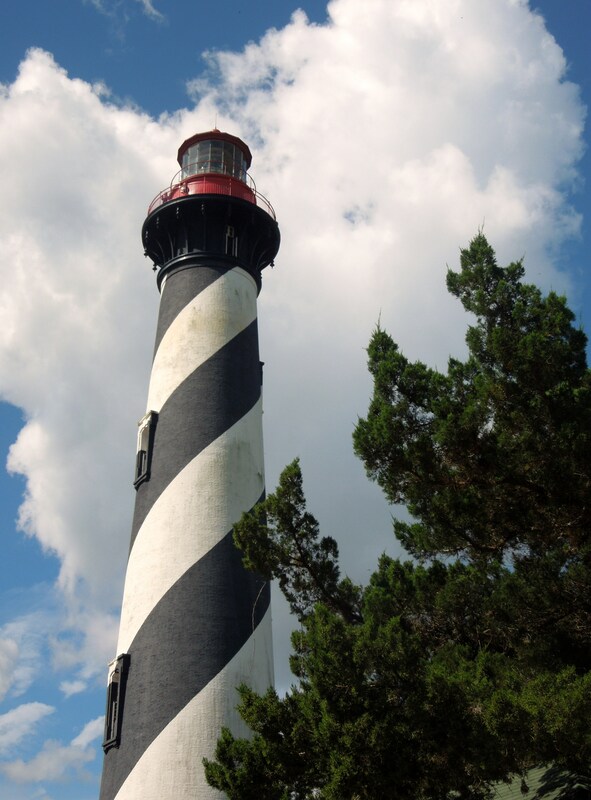 Like many old towns, St. Augustine claims to be one of the most haunted spots in the U.S. It stands to reason. They saw their share of battles, destruction and disease. Plus, many of these historic sites are still intact. Is it any wonder that they’ve become paranormal hot spots? Many of these have been investigated by celebrity ghost hunters and are open to be toured. I’ll share a few of these haunting tales. 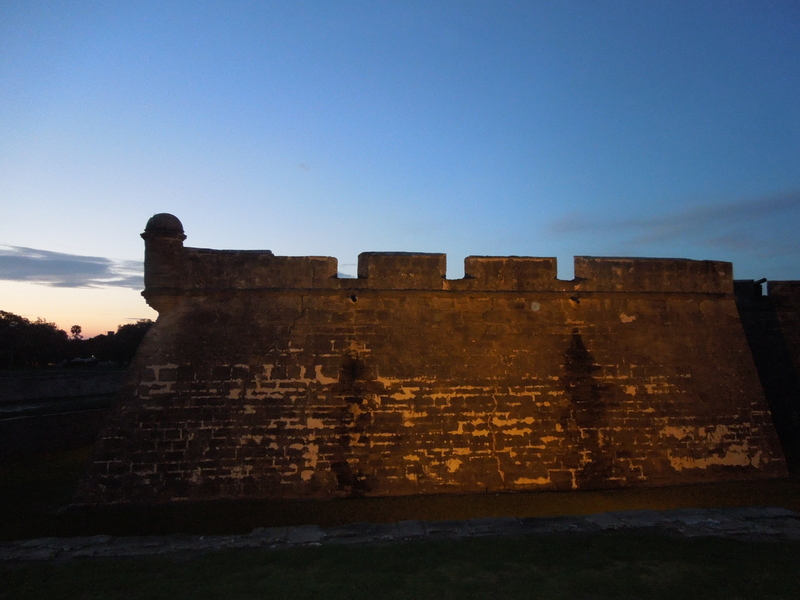 The Ghost Adventures crew visited this gorgeous old stone fort built in the 1600’s by Spanish settlers and encountered all sorts of paranormal activity. They heard screams, moaning, footsteps, growling and breathing. They saw an apparition with a lantern and a canon being lit. This could have been the spirits of those killed there in battle or buried in unmarked graves. They’ve found bones shackled to walls in one room. The fort was also invaded by murderous pirates. And then there’s the ghost of Seminole Indian leader Oceola. Oceola was captured by the Spanish and kept in a prison cell at the fort until he died. A doctor who was a friend of Oceola’s severed his head after his death to use for medical research, and it’s said that his head still haunts the fort. The TAPS crew of Ghost Hunters visited the lighthouse. It is believed to be haunted by a man who hanged himself on the front porch. People report hearing footsteps running up and down stairs and the voice of a 12-year-old girl calling out. During their investigation, the crew heard a woman’s voice say “Help me!” and also captured the message on audio recordings. At the same time the voice was recorded, video footage captured something seemingly solid wandering on the landing and peeking over the rail. Whatever/whoever this was, it didn’t set off the motion detector and lead the TAPS crew to agree that the lighthouse is haunted. 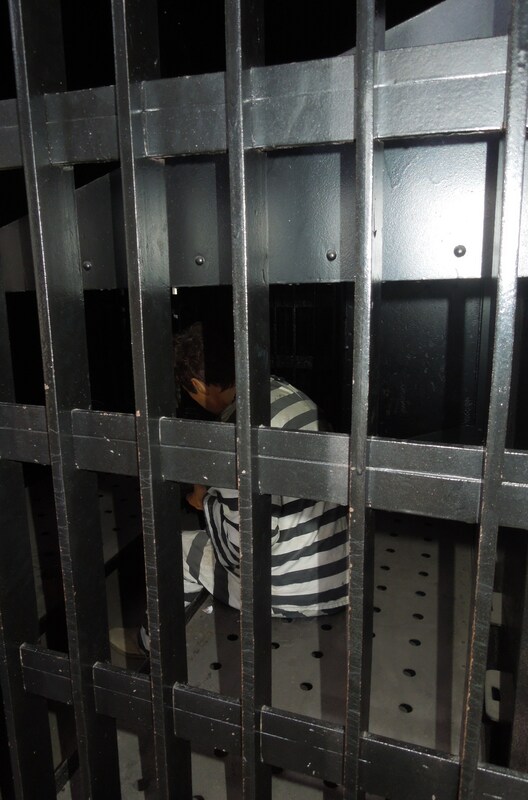 We visited during the day, but some tour groups organize ghost hunts at the Old Jail during the night. This St. Augustine landmark was once home to vicious and violent criminals, the worst of whom were hanged at the gallows on the property. The TAPS crew visited the place, which is listed on the National Registry of Haunted Places. There have been reports of full-bodied apparitions and disembodied voices. I wrote about the Old Jail before. I can’t help but wonder if any of those souls not at rest are the children who had to listen to the inmates from their own childhood bedrooms just a few feet away! You can eat lunch in what used to be the Hotel Alcazar. 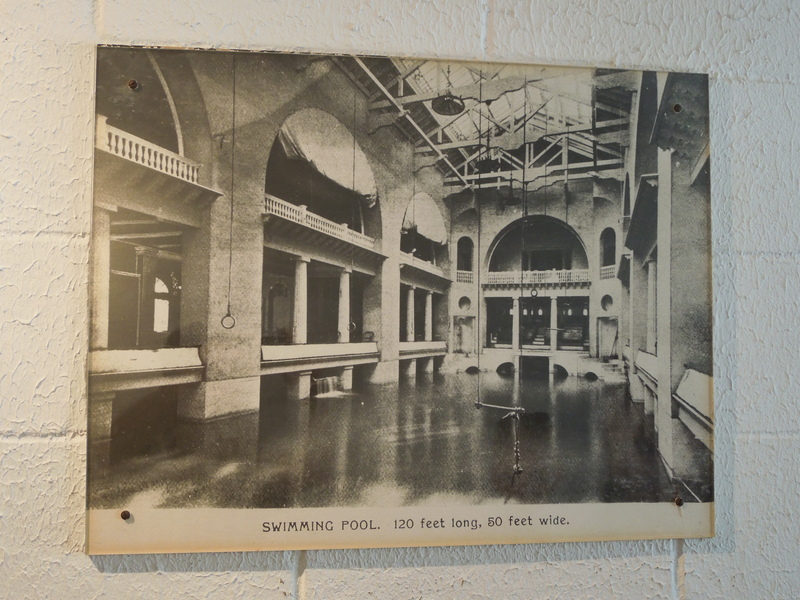 In its heyday, it had the largest indoor swimming pool of its time. Story has it that a little girl fell into the pool and drowned. 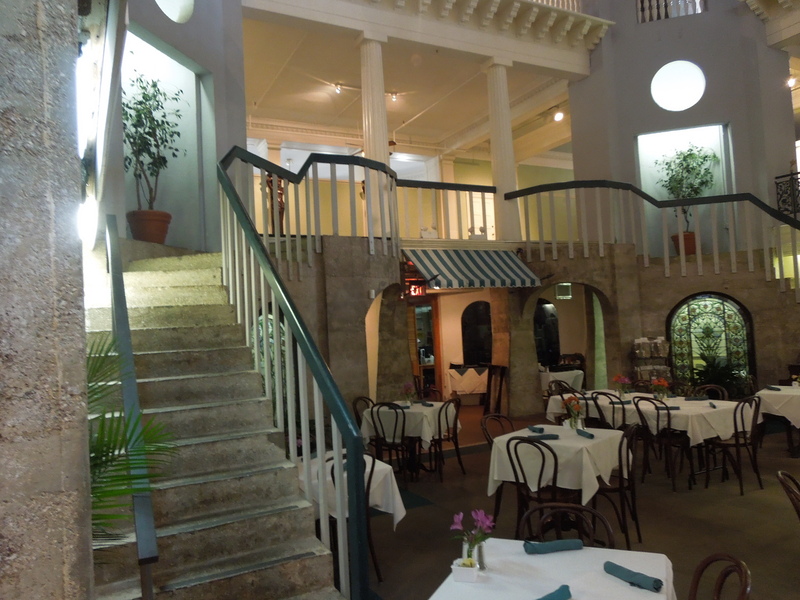 The pool was drained and is now a restaurant. According to local tour guides, if you stand in the middle of the pool, close your eyes and concentrate, you can hear splashes. Then look up, and you’ll see her floating above your head. ← Our New Favorite Pepper – Datils! How I miss St. Augustine. Also wish I could have been there last year with the 500 year celebration of the Ponce de Leon discovery of Florida. This is a wonderful post and a twist on what people usually visit in this beautiful town. We were amazed at all there was to see, do and learn about St. Augustine. I wish we’d stayed longer. It’s a place we’ll definitely try to return to. Cool place. Believe it or not, we felt Geneva, Switzerland to be quite creepy. Hard to explain. We could feel like there were a lot of ghosts of the past hanging around there. We totally didn’t expect that and certainly it is not portrayed that way to tourists. It was strange. That is so interesting. I haven’t been to Geneva yet and imagine it as a place for upscale shopping and politics/ I wouldn’t expect any kind of creepy vibe, but now I’m so intrigued. You just moved it up a notch on my places to see list. Thanks! Yes! I was all set to go see the Exorcist sites in DC and the. Our trip got cancelled. I’m sure I’ll find myself there again someday and will definitely look into it. Woo, I love a ghost or two. I can’t say I’ve had any experiences myself but Ireland is thick with ghosts, poltergeist, strange occurrences etc. Thanks, but not that brave, really. If I ever actually saw a ghost, I think it would scare the crap out of me and swear me off haunted places forever.